The Church of Ireland St Nicholas’ Collegiate Church, which is the largest medieval church in Ireland still in use, having being built in 1320. The Lynch Window, which according to legend is where the in 1493 the Mayor hung his own son for the murder of a Spanish visitor. The Claddagh on the west bank of the River Corrib. Museums. 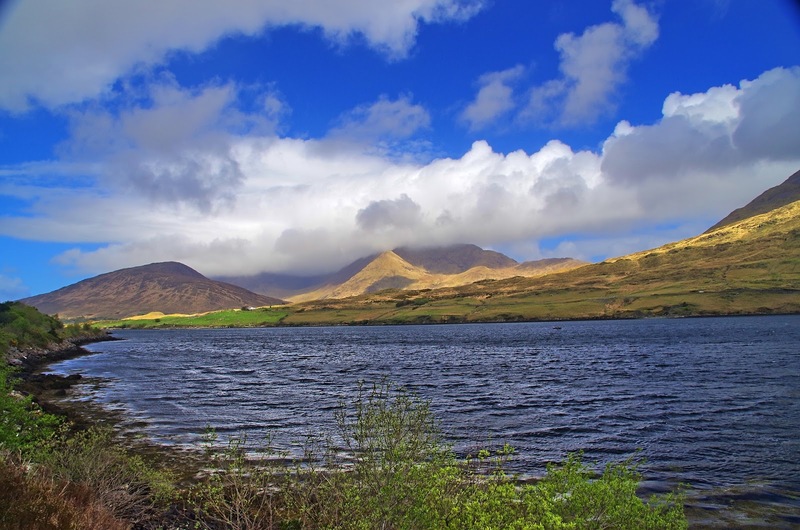 Of which there are several including the Galway City Museum and the James Mitchell Museum. These are all interesting places and landmarks to see, but there is much more to Galway than its history…. 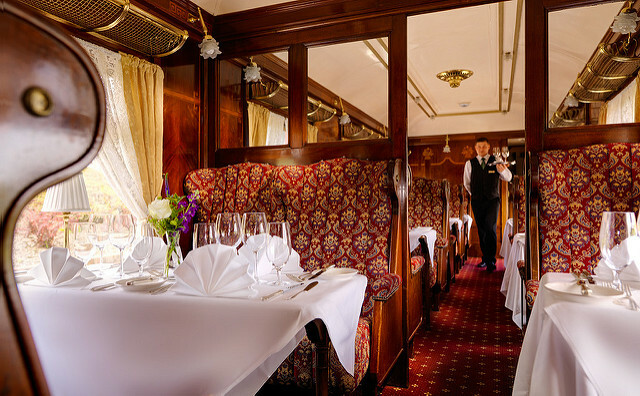 At this amazing restaurant, you will find two original carriages from the Orient Express, one of which was used in the Agatha Christie film, Murder On The Orient Express. With everything in its original states and music from the 1940’s and 1950’s being played in the background, this is a fine setting for a romantic meal, or just to experience a bygone age. The Irish are very proud of their history and it mingles well with modern day in places like O’Connor’s. Here spare space is used to show off clocks, crockery, gaslights, sewing implements and many more things. There is even an almost life size statue of John Wayne as he was in The Quiet Man. A tour of the pub and all its artefacts is billed as the shortest walking tour of Ireland. From 9.30 each evening there is music and sing-alongs, but they do not serve any food. As well as stalls selling fresh farm produce you will find everything else for sale that you would expect to find in a market. The experience is enhanced by the street buskers who add to the festive atmosphere. Saturday is the standout day for food, but you can also buy local crafts in Galway Market. There are several hotels in the city but one of the most popular is Galway’s Maldron hotel in Oranmore. With leisure facilities, outdoor play areas and a fine restaurant, this is a perfect location forever you want to visit in the city. There are also bed and breakfast guesthouses available. One of the things many people consider when deciding which place to holiday, is what do they do in the evenings when all the attractions have closed. This will never be a problem in Galway. There are bars, restaurant, clubs, cinemas and theatres as well as a bowling alley if you fancy a game. 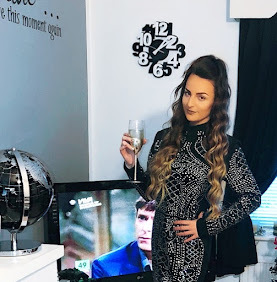 You could try the Halo Nightclub, Sonny Molloy’s Irish Whiskey Bar, the Bunch of Grapes or Carroll’s Wines and Spirits. These are just a few of the very popular bars and clubs that are frequented by locals and tourists all year round. There are many more. Unless the weather is very bad, Galway’s central public square is always busy. Officially the name was changed in 1963 to Kennedy Park, to commemorate a visit by John F Kennedy. However, to the locals it will always be Eyre Square. Alongside the south-western side the square is pedestrianised and lined with seating, and the upper side is guarded by the Browne Doorway. This is a fragment from the home of one of the city’s merchants and dates back to 1627. 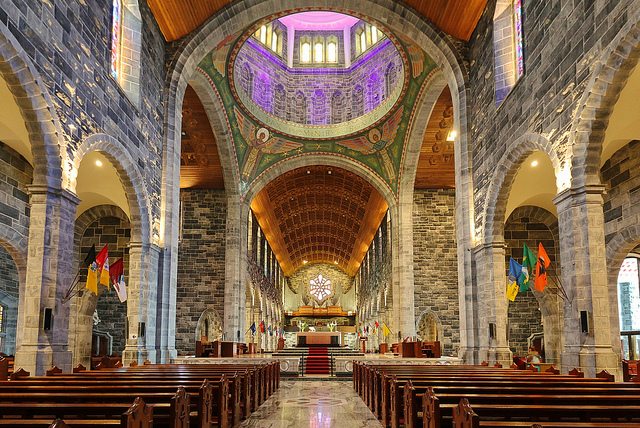 No visit to Galway would be complete without setting foot inside Galway Cathedral. The inside is amazing with its beautifully decorated dome, lovely mosaics and stonework emblazoned with much stained glass. One of the mosaics depicts John F Kennedy in prayer. The acoustics of the cathedral are very good and this is shown more than ever at the organ recitals that are held from time to time. Seahorses, sharks and rays are among the 150 different species of sea-dwelling creatures from the waters surrounding Ireland. You can hold starfish and spider crabs in the touch pool area, and there are various talks and feeding sessions throughout the day. Walking the full length of the promenade, which is 2km, is a favourite pastime for locals and tourists. Starting at the edge of the city, the return journey is a walk of 35 - 40 minutes. Known locally as the “prom” there are plenty of bars and cafes along the way if you want to sit and admire the views. This spot, which is very popular with those that enjoy fishing, the waters cascade down a great weir. Just to the east of Galway Cathedral, this is one of its final falls before reaching the bay. Shoals of salmon and sea-trout can be seen waiting in the waters before they rush upriver to spawn. This happens mainly during May and June, although the season can span from February to September. Wherever you go on holiday, at some point you are going to want to wander around the shops. Galway has plenty of them for you to browse. From large shopping centres such as the Galway Shopping Centre and the Eyre Square Shopping Centre, to the hidden gems of shops you will find in some of the back streets of the city, you will always find want you are after. There are shops for everything from the latest fashions to music and local crafts. You will easily be able to shop till you drop in Galway. Galway is known as the cultural centre of Ireland. 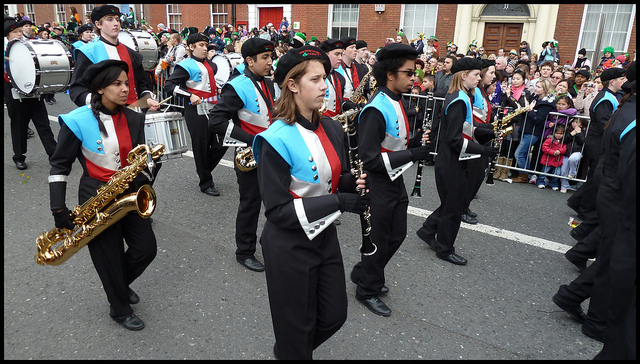 It is renowned for the vibrant lifestyle and the festivals that take place throughout the year. There are at least 51 venues for events, and the city makes the most of them all. There is always something happening in Galway, and there is no doubt you will enjoy your visit to the city. When newspapers the other side of the planet, such as the New Zealand Herald, list it as one of the five greatest cities to visit, the people of Galway are obviously getting something right. Have a great time in Galway, it’s an unforgettable place!